On October 29, in an unusual double attack, pirates boarded and took command of the bunkering tanker Anuket Amber at a position 100 nm off Pointe-Noire, Republic of Congo. According to an initial report published by the IMB ICC, a group of pirates in a speed boat chased and fired upon an LPG tanker that was carrying out underway ship-to-ship bunkering operations with the Anuket Amber. The two vessels stopped the bunkering transfer and cast off. The LPG carrier increased her speed and the tanker made evasive maneuvers. The ICC's report indicated that both vessels escaped and that all crew were safe. 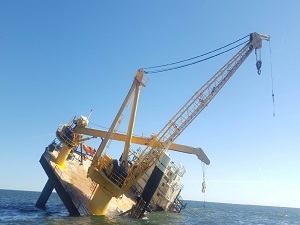 However, on Thursday, the Indonesian Ministry of Foreign Affairs said that pirates had abducted three Indonesian citizens and one Ukrainian national from a different vessel - the OSV Ark Tze - and transferred them to the Anuket Amber, which had been hijacked by the same group. "The hijackers kidnapped four ship crewmembers (one Ukrainian citizen and three Indonesian citizens) and transferred them to the Panama-flagged tanker Anuket Amber, which was [also] controlled by the hijackers," said the Director of Indonesian Citizen Protection and Legal Aid (PWNI) of the Indonesian Ministry of Foreign Affairs, Lalu Muhammad Iqbal, in a statement Thursday. As of Thursday evening, the Ark Tze was anchored at Pointe-Noire. Her 11 remaining crewmembers survived the attack, and nine - all Indonesian nationals - will be repatriated at their request. Indonesian authorities are working with the Ark Tze's owner to communicate with the hijackers and secure the release of the hostages. The families of the victims have been notified. 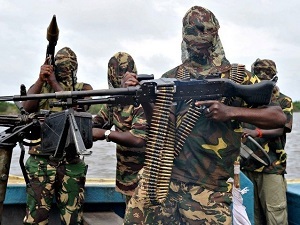 The location of the attack is several hundred miles south of West Africa's piracy hotspot, the region just off the Niger River Delta. However, multiple acts of armed robbery have been reported in and around Pointe-Noire in recent months. 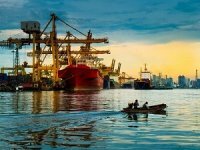 Costamare Takes Full Ownership of Boxship QuintetGreek shipping company Costamare has taken full ownership of five 2014 -built 14,000 TEU containerships. 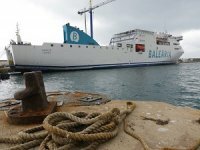 Baleària Begins Retrofitting Nápoles to LNGSpanish ferry company Baleària has begun retrofitting its Nápoles ferry, the first of the company’s six ships to be converted to liquified natural gas (LNG) operation. 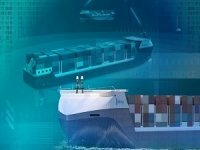 UK Launches Code of Practice for Autonomous ShipsUK has issued version 2 of the Maritime Autonomous Surface Ships (MASS) UK Code of Practice, giving greater guidance on skills, training and vessel registration. 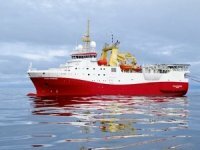 Shearwater Completes Acquisition of Schlumberger's Seismic FleetNorway-based provider of marine geophysical services Shearwater GeoServices Holding announced the completion of the acquisition of the marine seismic acquisition assets and operations of WesternGeco, the geophysical services product line of Schlumberger. 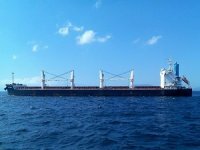 Courage Moves to Buy $11m Secondhand SupramaxHong Kong-listed Courage Investment Group is spending $10.88m to buy a secondhand supramax bulk carrier in a move to expand the scale of its shipowning business. 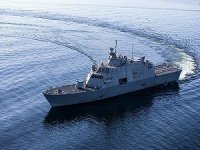 USS Sioux City First US Navy Ship to Enter Service at US Naval AcademyFuture USS Sioux City will become the first US Navy ship ever to be commissioned at the United States Naval Academy in Annapolis, Maryland, as she enters service in a ceremony on Saturday, November 17.